Literary Doorstops a.k.a Big Fat Books! Although lots of people love to read particularly long books, (500 pages or more), other people find the idea to be a little daunting. Is this because of the sheer size and weight of the book, which may result in aching arms from the strain of holding it? (This is easily fixed, just ask for an e-reader for Christmas). Maybe it's the time commitment- considering that potentially 3 or 4 other books could have been read in the time taken to complete just this one book. Perhaps it's the possibility of being bored to tears by long-winded prose. Literary doorstops, as these tomes are sometimes known, require commitment, patience and often a good memory. They can be an opportunity to get lost for a long time in vast and detailed worlds, enjoy more intricate plots and further developed characters. These books can also offer peace of mind, knowing it will be quite a while before the book ends, and you find yourself wondering what to read next. With the holiday season fast approaching, now is the time to challenge yourself to read a long book, and give yourself the chance to enjoy not only a great story, but also a sense of achievement when you finish it. Go on, make the commitment. Remember all books, no matter what their number of pages, are read one page at a time...it's well worth the effort with these suggested titles, all 500 pages or more. 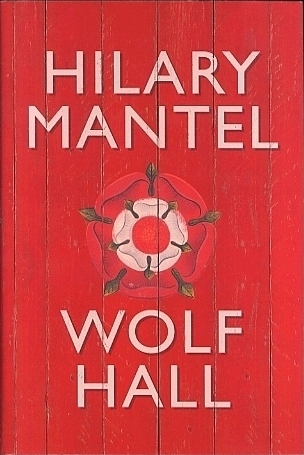 Wolf Hall (and its award winning sequel Bring up the bodies-it's shorter, at just under 500 pages) by Hilary Mantel. Both of these historical novels are Man Booker Award winners, well worth the time and effort to read. The art of fielding by Chad Harbach. A recently released debut novel of love, doubt and college baseball. David Copperfield by Charles Dickens. As Dickens 200th Anniversary draws to a close, finish the year of celebration by reading this novel. Then reward yourself with a short story for Christmas, A Christmas Carol (it's only 86 pages). Winter of the world by Ken Follett. This is the second book in the historical Century Trilogy. If you haven't read it already, you might like to start with Fall of Giants, only 985 pages (in hardcover). Anna Karenina by Leo Tolstoy. A movie version of this epic romance is due for release in February, 2013. Just enough time to have read the book before seeing the movie. If you are feeling like the ultimate challenge, try reading War and Peace. The street sweeper by Australian author, Eliot Perlman. At more than 550 pages, it may look intimidating, but this is an epic read the publisher telling us it's "dealing with memory, love, guilt, heroism, the extremes of racism and unexpected kindness, spans the twentieth century to the present, and spans the globe from New York to Melbourne, Chicago to Auschwitz." 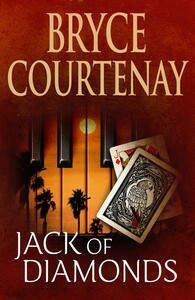 Jack of Diamonds by Bryce Courtenay. This was Bryce Courtenay's 21st, and last book. Enjoy 720 pages of the inspirational story of Jack Spaydes, a young man of considerable talents, finding his away in a perilous world. To find more, simply type Literary doorstops into the search box of the Library Catalogue.